On the 30th January 2018, our partners at Development Alternatives held a policy mela (Hindi for picnic) in the Indian city of Patna, bringing together private entrepreneurs, community groups, and government in an inclusive dialogue over how to build a more resilient India. Specifically, the mela focused on the issue of fly ash - the fine powdery dust left over from burning coal - and how it can be recycled to create valuable bricks for building. This creates a triple win for local communities: it disposes of the harmful waste ash product, it creates economic opportunities for businesses to collect and process the fly ash, and it results in a useful, durable building product - reducing resource intensity at every step of the way. The event witnessed participation from 111 participants from diverse groups including existing and potential fly ash entrepreneurs, regulators and policy makers, civil society, technology providers, builders and contractors, banks and fly ash associations. Many of the speakers expressed concerns that not enough is currently being done to promote fly ash recycling and the benefits it provides, but were confident that a supportive ecosystem for fly ash recycling can be achieved through action on technological, economic, regulatory and behavioural changes. The response towards the mela was impressive, with government representatives, policy makers, banks and fly ash entrepreneurs working together to better understand concerns and advance solutions to local challenges in the sector. 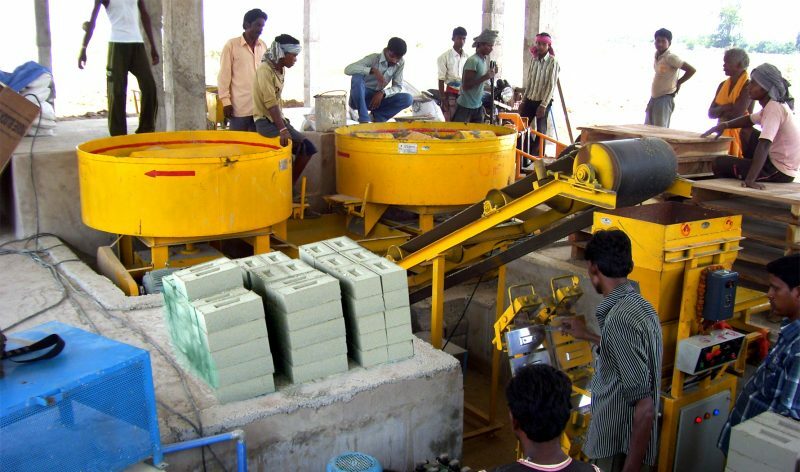 The concerns of fly ash brick making industry which were relatively lesser known to the masses were explained in a simple manner with business examples suggesting the applicability of these concepts to daily operations. A key highlight of the event was the understanding that the issue at hand is not just about material security of supply, but rather the impact that this consumption has on the rest of the ecosystem as well. The mela was the latest in Development Alternatives ongoing dialogue processes with local Indian communities and stakeholders over the green economy issues that matter most to real people, supported by the Green Economy Coalition. If you'd like to find out more, become a part of this journey through DA's website Mapping Alternative Perspectives: South Asia (www.map-sa.net).